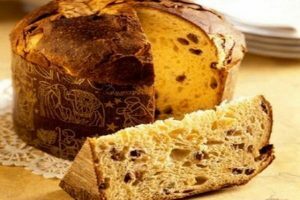 No matter the season there is always something exciting going on in Lombardia. 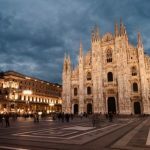 You get to experience it all here; the bustling metropolis and fashion capital of Milan, the beauty of the northern Italian lakes of Como and Maggiore, and the surrounding Alps that cradle the UNESCO world heritage sites of Bergamo and Monte San Giorgio. It’s eye-opening, inspiring while at the same time offering just the right hint of romance. A classic that's not to be messed with… too much. 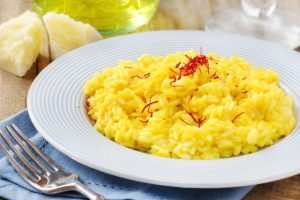 This creamy risotto is perfumed with saffron and loaded with lots of butter and Parmigiano Reggiano. Literally translated to “large loaf cake”. 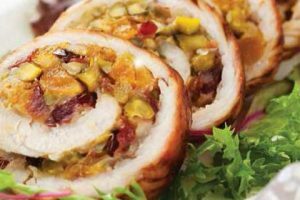 This sweet loaf is stuffed with dried fruits and usually a glass of Moscato. Milan is all you can handle with only one day. From its iconic central focal point at Piazza Duomo to Sant’Ambrogio church, exhibits and museums all across the city, Brand and luxury shoppers from all corners of the globe descend upon Quadrilatero d’Oro. 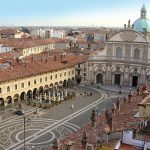 For a more historical vantage point on Lombardia head to the towns of Pavia to the south and Mantova to the east. In Pavia explore the grounds at the Certosa monastery then direct yourself to Palazzo Te on the outskirts of Mantova for a real head first dive into antiquity. It’s time to witness the sheer beauty of Italy’s lake district for yourself. Lake Garda and Como are enormous and visibly stunning. 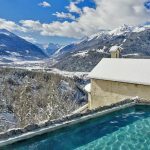 The mountainous Alps jut out along the shorelines in stark contrast, bringing lush forested landscapes that are ripe for exploring. 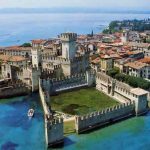 Maggiore in the west is not to be overlooked as they contain resorts, beauty, and inspiration galore.